Buying Remains Cheaper Than Renting in 39 States, including MA! 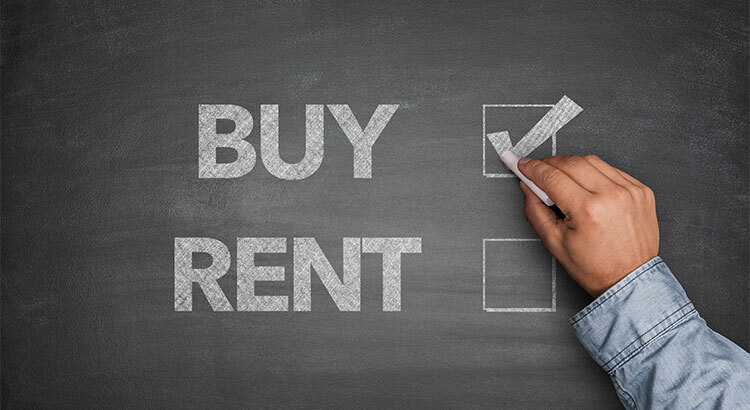 In the latest Rent vs. Buy Report from Trulia, they explained that homeownership remains cheaper than renting with a traditional 30-year fixed rate mortgage in the 100 largest metro areas in the United States. The updated numbers show that the range is an average of 3.5% less expensive in San Jose (CA), all the way up to 50.1% less expensive in Baton Rouge (LA), and 33.1% nationwide! 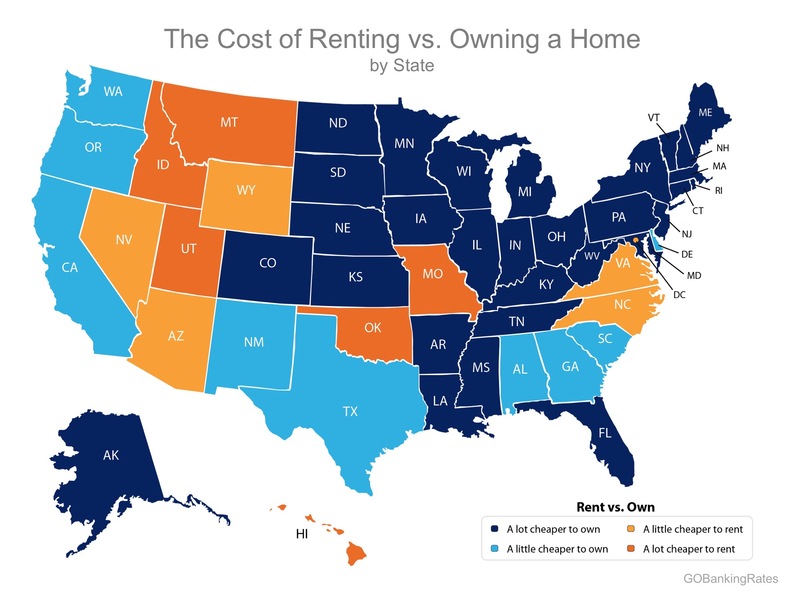 A study by GoBankingRates looked at the cost of renting vs. owning a home at the state level and concluded that in 39 states, it is actually ‘a little’ or ‘a lot’ cheaper to own (represented by the two shades of blue in the map below). One of the main reasons owning a home has remained significantly cheaper than renting is the fact that interest rates have remained at or near historic lows. Freddie Mac reports that the current interest rate on a 30-year fixed rate mortgage is 3.91%. Nationally, rates would have to reach 9.1%, a 128% increase over today’s average of 4.0%, for renting to be cheaper than buying. Rates haven’t been that high since January of 1995, according to Freddie Mac. Buying a home makes sense socially and financially. If you are one of the many renters who would like to evaluate your ability to buy this year, let’s get together and find you your dream home. Michael Lyons on If Your Home Hasn't Sold Yet… Check the Price! Michael Lyons on Buying a Home? Do You Know The Difference Between Cost & Price?